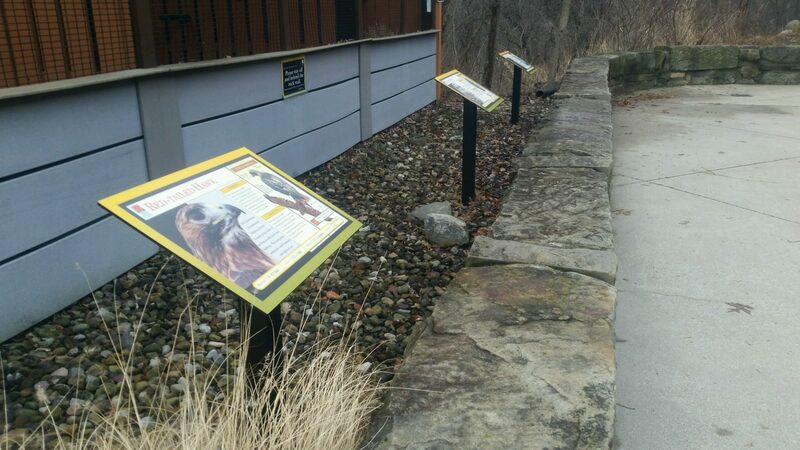 For over 15 years, Lorain County Metro Parks has been working with Pannier to manufacture outdoor panels and wayside exhibit frames for various locations in the County. 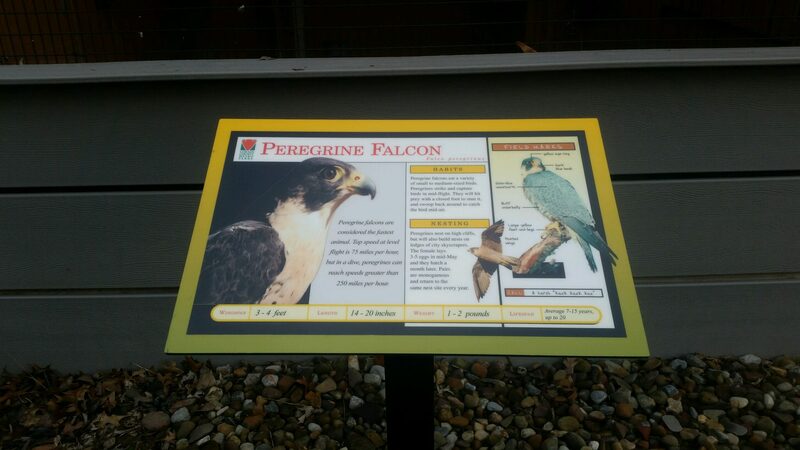 Most recently LCMP worked with Pannier to fabricate interpretive signs and frames for their Raptor Center. The Raptor Center is home to ten non-releasable birds that hatched in the wild but sustained permanent injuries that prevent them from being able to survive again. These birds cannot hunt for their own food or survive in the wild. 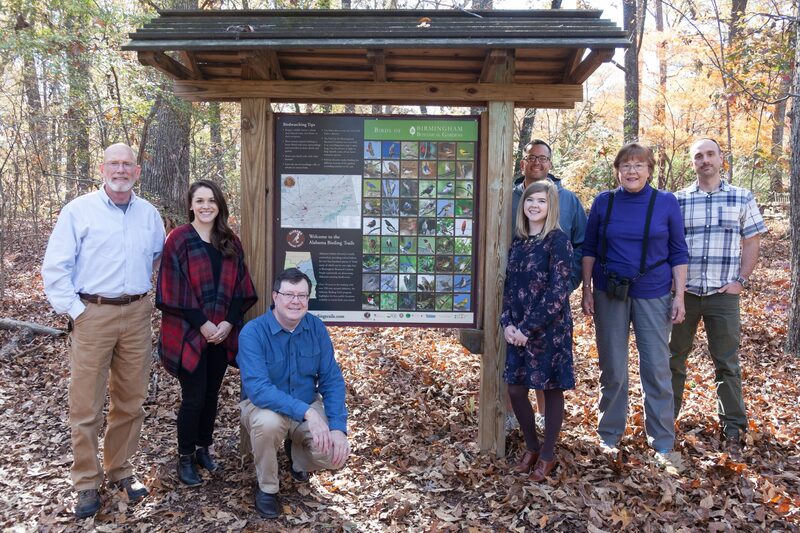 Each Raptor Center resident has now become a wildlife ambassador and participates in educational programs throughout the County. 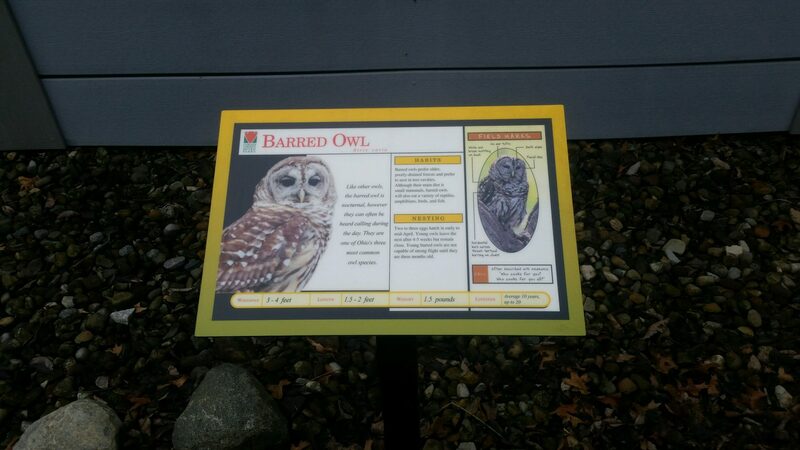 These birds are under the staff’s care with education permits through the US Fish & Wildlife Service and the Ohio Department of Natural Resources, Division of Wildlife. 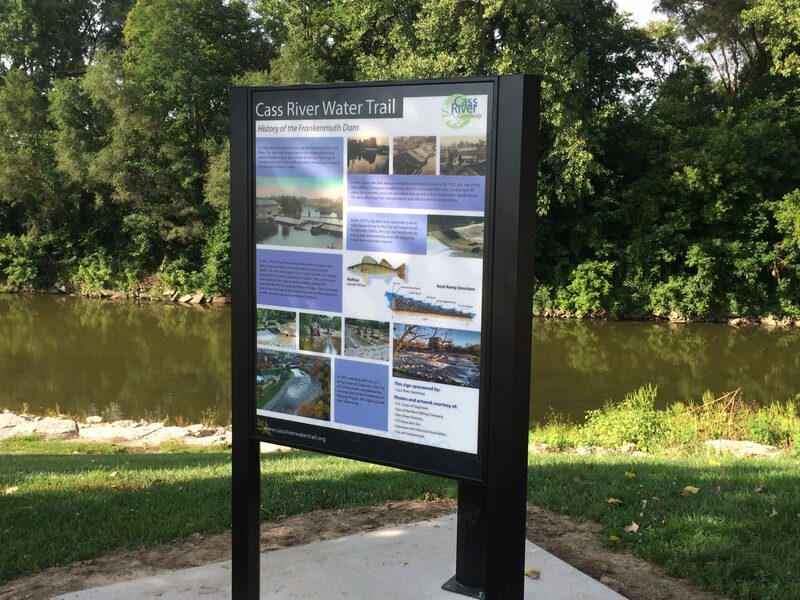 Ten Fiberglass Embedded outdoor panels and ten Frameless Pedestal mounts were fabricated for the most recent project with Lorain County Metro Parks. 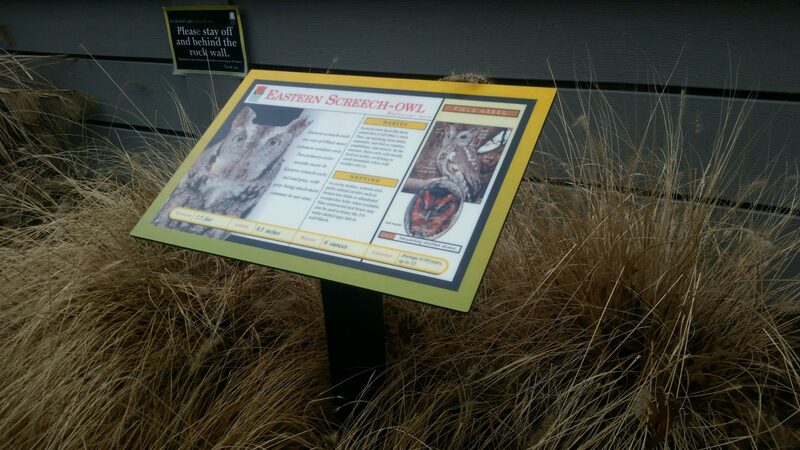 These outdoor signs are on display to help further the LCMP educational mission and share the natural history of the bird species on display. For more information on any of Pannier’s Fiberglass panels or outdoor frames, contact a Business Development Representative today!